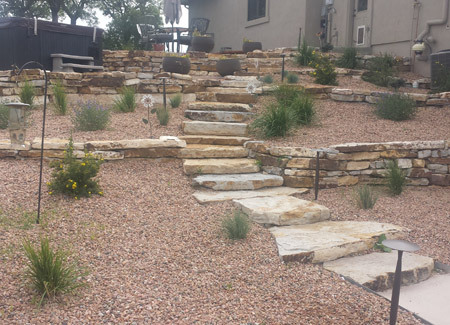 Paradise Outdoor Design and Landscaping has been providing Monument, Colorado Springs, and Castle Rock landscaping since 1991. 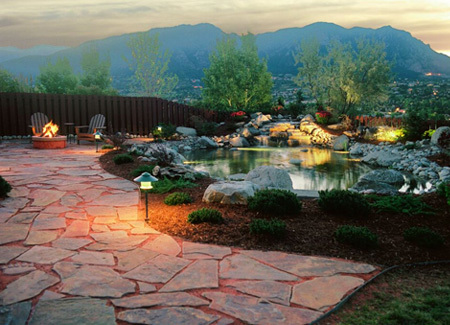 View our image gallery of custom landscaping design our company has created for the Colorado Springs area! Every day millions of people escape to their own private paradise… their own back yard with a custom designed and professionally installed pond. Let us show you how our skilled landscaping in Colorado Springs can transform your yard into a relaxing paradise. The beauty of a well-landscaped pond and the relaxing sound of a slow moving stream gently cascading over a waterfall is a very soothing and enjoyable addition to any landscaping in Colorado Springs. Outdoor living spaces have been one of the best investments you can make in your home and we are one of the top quality landscaping companies in Colorado Springs. It is truly an investment, not a trend that will soon pass. Paradise Outdoor specializes in creating incredible living spaces outdoors so you can enjoy the beauty of your Colorado surroundings. 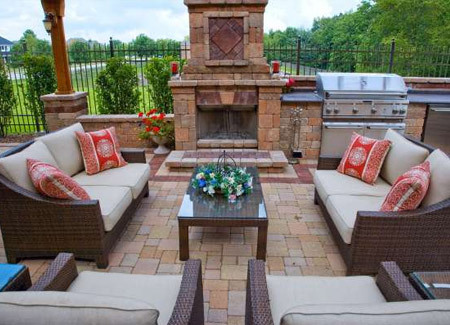 Fire pits, fire places, full kitchens and living room areas are just some of what we offer!